Plastic chess pieces - 3.75 inch King. 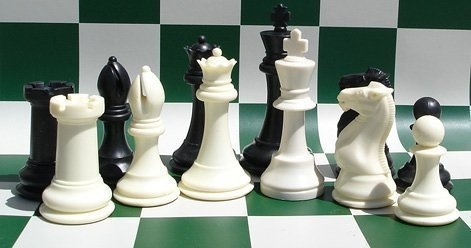 Set of chess pieces, white and black. Double Queens. Needs 2" mat. Standard weighted. Used in hundreds of clubs and schools up and down the country. Indestructable. 3.75" King Height. Double Queens. King Dia 1.6"